Michael Jackson, the Beer Hunter, has passed away. A man of prodigious passion and zest for life, Michael's beer and whisky knowledge was the stuff of legend and I always found him generous to a fault with it. An outrageous flirt and bon viveur Michael never failed to make me laugh when we met and was always, always threatening to take me out for longest lunch of my life - sadly that never came to pass. 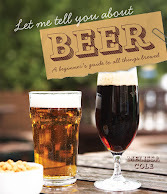 At the age of 65 Michael had crammed more into his years on the planet than most of us could dream of; his breakthrough book, The World Guide to Beer, put beers in their cultural context and really changed the way people looked at this incredible drink. His show, the Beer Hunter, got him much fame on both sides of the pond and he even appeared on the Late Show with David Letterman. Michael, and his beer journalist contemporaries in the 70s, worked tirelessly to save British beers at a time when they were spiralling into decline. So next time you're enjoying a home-grown pint make sure you raise a toast to Michael - because without him you may not have even have got the chance. That last sentence was vital. Michael is the reason people can buy great beer. Whilst the beer loving world is quite obviously in shock I feel we are collectively missing a point. Tonight, within a handful of mouse clicks, I have had my attention drawn to so many beer writers blogs it's unreal, I had no idea there were that many beer lovers out there. Without this man there clearly wouldn't be this interest in real ale. You folks have been inspired by Michael and in turn you have inadvertently been handed the torch. Take the torch and move forward, continue to spread the good word, it's what he would have wanted.